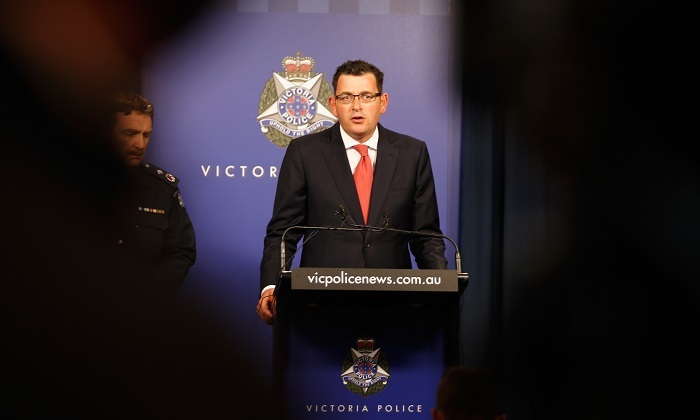 Victorian authorities have been too politically correct in dealing with youth crime in Melbourne, claims a young South Sudanese community leader. Sudanese-born community campaigner Nelly Yoa made his comments in the wake of public attention to Melbourne’s so-called African crime gang crisis. He told radio 3AW that community leaders have been concerned about the issue of youth crime for the last few years. “So it is something they have expected, it’s just a shame that nothing has been done in the last few years to tackle this issue,” Yoa said. The 27-year-old’s comments follow media reports covering a string of headline grabbing crimes attributed to gangs of African youth, mostly South Sudanese. “I was sort of in disbelief when the police said gangs don’t exist. Call it for what it is." Yoa said gangs do exist. “I was sort of in disbelief when I heard police say gangs don’t exist,” he said. “Let’s stop being politically correct and call it for what it is because we have issues within our community,” he said. Yoa said he wants authorities to admit gang crime involving youths from African communities is a problem in Melbourne. “We have issues within different communities, but (in) the Sudanese community the issue has escalated in the last two years,” he said. The behavior of the youth gangs has discredited all the hard work that people in the Sudanese community have done, Yoa said. “This is just a small percentage within our community,” he said. Yoa said the wider community in Melbourne is sick and tired of what is going on. “It’s upsetting that we have come to this point,” he said. In 2011, Yoa was about to sign up with a professional soccer team but was attacked by a gang member armed with a machete during a brawl after a Sudanese beauty pageant in Melbourne’s west, reported SBS. Most of the South Sundanese community in Melbourne came to Australia as refugees displaced by conflict during 2003 to 2006. In 2011, South Sudan became independent from northern Sudan but the young nation collapsed into civil war between ethnic groups. South Sudan remains wracked by violence and famine. About 0.1 percent of Victoria’s population are born in Sudan, official data shows, reported the ABC. Acting Chief Commissioner Shane Patton and Police Minister Lisa Neville both addressed media on Tuesday about what the police have being doing to address the issue. Acting Chief Commissioner Shane Patton said there were African street gangs in Melbourne. “We have for a significant period of time said that there is an issue with overrepresentation by African youth in serious and violent offending as well as public disorder issues,” Patton said, reported the ABC. Neville outlined what the police and state government have been doing to address the issue which she said has had an impact. But former Victorian Police commissioner Kel Glare told Sky News that the state government has done too little too late in responding to the issue. He said that political correctness has played a role in the issue, as have the police who have been unable to do their job properly. How Many Squares Can You Find in This Pattern?–Not Everyone Can Find Them All, Can You?